This “movie review” is so perfect it’s not even funny, except it is really funny. 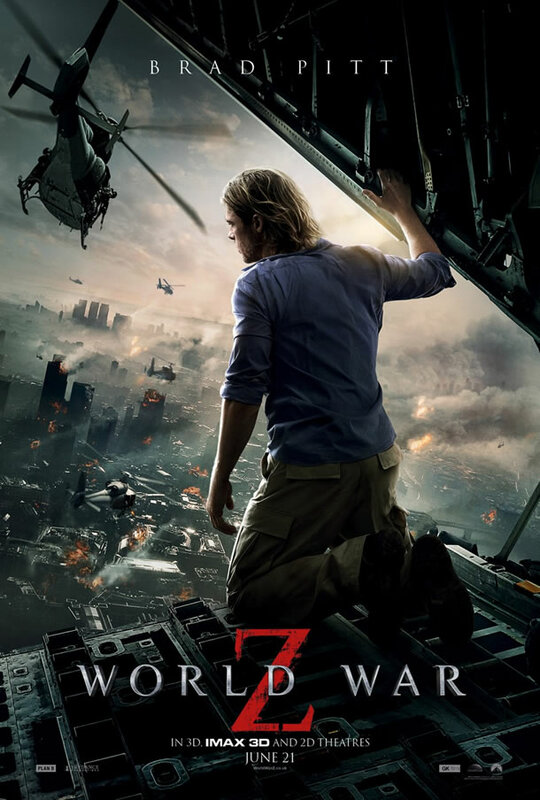 WORLD WAR Z(ilch). Check out this brilliant and perfect review for it. This follows on the heels of Spielberg’s big speech that I talked about last week. Movies are done. It’s transition time. What the future holds is a mixture of these gigantic video game movies and little Youtube productions. The middle has been ravaged. Also, at the core of Spielberg’s big speech is one very common sensical question — why are theaters still charging the same price for a ticket to a movie that cost $200 million to make versus one that cost less than a million? Really good question. Broadway figured that challenge out long ago. The changes are long overdue.